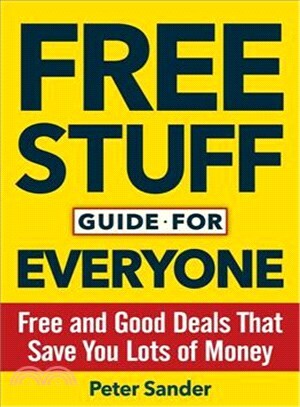 Consumer finance expert and best-selling author Peter Sander presents bargain hunters, retirees, proud cheapskates, students, or anyone on a limited budget how to find free products, services, gift, rebates and incredible bargains quickly and easily. Topics cover: Free Entertainment, Incredible Travel Bargains, Free Health Care Information, Prescription Medicine Discounts, Free Financial, Investment and Tax Advice, Free Educational Opportunitie, Sports, Fitness and Exercise Bargains, Free Magazines, Newsletters, Catalogs and Books, Free Insurance Information and much much more! Peter Sander: Peter Sander is a bestselling author, researcher, and consultant in the fields of personal finance, business, and investing. He has written and collaborated on numerous books, including The Pocket Idiot's Guide to Living on A Budget and Value Investing for Dummies.